This is the first time I’m baking a fruit / plum cake for Christmas. This cake is dairy free, butter free and alcohol free and does not require you to soak the fruits in advance. This recipe is from our neighbor Angelin Aunty. It is almost like a ritual to her to serve this fruit cake to all the neighborhood during Christmas. From the year she became our neighbor when I was 7 years old till last year I had been blessed to have tasted this cake that she so lovingly bakes for all of us. Her home would smell so heavenly during this time of the year. I would have never felt the urge to bake one this year had it not been for her. This year unfortunately she had to rush to be with her daughter, who also happens to be my best friend, as she is expecting her second baby next month. When I spoke to her over phone enquiring about her health she requested me to keep up with the tradition and asked me if I could bake the cake and give it to our neighbors. I definitely cannot say no to her as she is also like a mom to me. I noted down the recipe carefully and I had to chide myself afterwards as when I went through it later, noted that the recipe did not have baking powder in it. I rang her again and she confirmed that it did not have baking powder in it. The next challenge is to scale down the recipe. She had given the recipe for 2 kgs. of Cake and there is no way that my oven could bake such a large quantity. The next is to zeroing in on the time taken for baking this one as I had no idea how long it is going to take. I first set the time for 45 min and when I checked though the outer layer was done the center was still moist so set it again for 20 min. But kept checking frequently and stopped it after 15 min. This is the first batch I baked and did a step wise so that even if something went wrong I could show it to her and find out the mistake and if by chance I got it correct the first time itself I wanted to remember the steps for future use too. But as you can see for yourself I need not have worried as it turned out great. It was neither hard and brittle nor soft, spongy and moist but ????? I’m not sure of the right word but it was just perfect, you know…. In the past few days I had baked this almost 6 times now after doubling the recipe and finished distributing it to our neighbors and friends only yesterday. The oven had been working over time and is gasping for some rest but I doubt if there is a chance of that till the week end. I’m so glad I got a chance to try out this particular cake as it is one of the best ones I had baked so far. This cake is not only for Christmas but will fit perfectly for any occasion. Preheat the oven @ 180 Deg C. Grease a baking pan generously and keep it ready. I used glazed cherries, tutti fruti, golden raisins, pitted Black dates, currants, cashew nuts. Chop dates and cashews finely. You can also use walnuts but I omitted as I do not like them very much. Sieve together flour, baking soda and salt. Add the chopped fruits to the flour and mix well with your finger tips to separate them from sticking together while ensuring all of them are coated well with flour. Beat the eggs either by hand or by an electric mixer. Add oil, both the sugars, cinnamon, nutmeg, vanilla and honey to the beaten eggs and whisk until combined. No need for the sugars to dissolve. Now fold in the flour and fruit mixture to the egg mixture and with a spatula until all are combined well. Gently transfer the mixture into the greased pan and level the top with the spatula. Tap the tray on the kitchen counter to get rid of the air bubbles that may form in between. Slip the tray into the oven and bake for 1 hour or till a skewer inserted comes out clean. Cool on a wire rack for 30 min. Slice and serve. Let the cake mature for a few hours and at least for a day. I personally felt that it tasted wonderful the next day. If you do not mind using alcohol then replace the honey with Rum. Add or reduce the fruits and nuts according to your preferences. If you happen to taste the batter before baking it will not be that sweet but not to worry at all. Wonderful clicks! Me likes the step-wise pics! 😀 My bestie is a Christian too! 🙂 I’ve always wondered why call it a plum cake when there’s no plum in the cake? கேக் அப்படியே எடுத்து சாப்பிடனும் போல் இருக்கு…நானும் இந்த கேக்கை நண்பரின் வீட்டில் சாப்பிடுவதுண்டு ஆனால் எப்படி செய்வதுன்னு கேட்டதில்லை.சூப்பர்ர்!! Perfectly baked cake radika. Chirstmas wishes to u. Enjoyed reading ur write up. The cake looks wonderful!! I’ve been wanting to make a plum cake for so long, somehow its not happened until now. I should try sometime soon! Merry Christmas! Delicious and tasty looking plum cake. The cake looks lovely and love the fact that it’s so simple to make..definitely worth a try! Wat a beautiful and very prefect cake for this festive season,well done Radhika..
Wishing your family a Blessed n Happy X’Mas !! First time to your blog and just loved it…fruit and plum cake are my all time favorite Christmas cakes. Following you from now on…Merry Christmas! 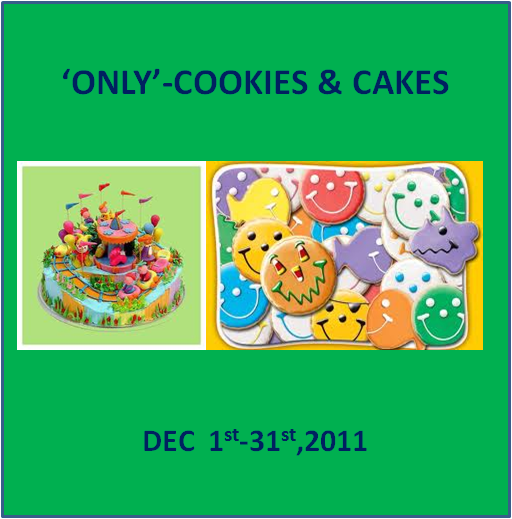 Good one,radhika…Merry Christmas to you..
very nice recipe,cake looks so perfect..well done Radhika!! 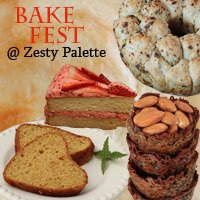 thanks for this awesome entry to bake fest!! Hi radhika, i tried this christmas cake. It’s perfect n yummy, Ur step by step instruction and pics r easy to follow! thanks a lot for sharing the recipe! Beautiful work, Radhika! Your cake looks fabulous! Make the batter and bake your cakes. The cakes will be better and the pressure in a busy household will be eased. Can i use 1/4 cup powdered sugar instead of brown sugar? You can use regular sugar itself but you will not be able to get that deep brown color. Do we bake it at 180. degrees, what is it in Farenheit? what size of baking pan should we use? do we need to use a springform pan? and grease and dust with flower or line with parchment paper? In Fahrenheit, it is 350 Degrees. You can use a 8 inch pan. you can use a springform pan if you have one. since I do not have one, I just greased and floured the regular pan. radhika to me it appears you have used more nuts n raisins than you mentioned in recipe …..?? can i use walnuts,cashew nuts,badam n raisins only…?? ?would it leads to some change..?? I have measured after chopping them all. so it may appear to you that I had used more than mentioned but I had used only 1/2 cup. By all means use just the nuts if you do not wish to add dried fruits. thanx for this recipe the measurements in cups is confusing why not post it in grams that wud make it clear.for instance flour is given in gms and butter in cups so kindly clarify.thanx for this recipe again. thanx for this recipe.if the measurements are given in gms it wud be more useful.flour is given in gms and sugar in cup cud you kindly clarify.i bake my plum cake wid a diff recipe this sounds simple and btw is baking soda and cooking soda the same?